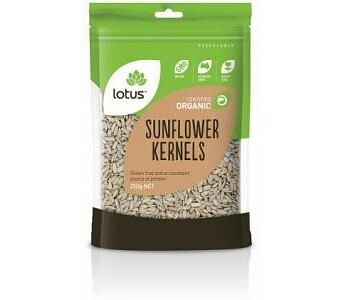 Lotus Organic Sunflower Seeds ( Kernels ) are gluten free and an excellent source of protein. Ingredients: Dehulled Sunflower Seeds. Certified Organic by ACO.